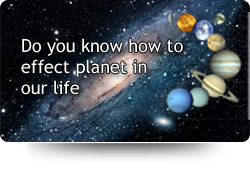 Parashara's Light is the leader in Vedic Astrology Software for the Professional Astologer and beginner. It features a wealth of calculations, charts, tables, and interpretive reports. Shri Muhurta calculates Electional Astrology, automatically finding the most favorable time and date for any occasion or undertaking. Bookshelf is a classical Vedic Library at your fingertips. It is a powerful research, learning, and personal report tool. Imagine getting a 30 page report from vedic texts that uniquely pertains to your chart.